City budgets: We’re thrilled to see how lots of new cities have been added to OpenSpending. Have a look at some of the budgets added recently from Umeaa, Sweden, St. Etienne, France, Laatzen, Germany, Rotterdam, The Netherlands and Oakland, United States. From the 135,000 person town of Cary, United States, you can now browse expenditures and revenues on everything from the fire services to solid waste management from 2009-2011. Australia: Data on more than 5,000 Federal government contracts from 2010-2011 has now been added. EU: We covered the newly passed budget for the European Union for 2014-2020 with a GoogleHangout. In the future we plan follow up with more coverage on access to EU spending data.  Morocco: Last month Martin Keegan did a talk on OpenSpending at a conference on transparency in Morocco. Read his take from the event here. Earlier this month the Sunlight Foundation (USA) relaunched Clearspending, with updated transactional spending data from the United States federal government for 2012. A thorough review of the new data found $1.55 trillion in misreported grants. Haiti: A report from the Global Center for Development concluded that tracking of US disaster relief spending in Haiti has been nearly impossible due to lack of transparency of NGOs and constractors. The report recommends to require prime contractors to report subcontracting data. The Comptroller of New York City relaunched its transparency site Checkbook NYC with transactional spending data from across departments. The site offers access to data both via download and API. A new study Assessing Open Government Budgetary Data in Brazil, has been published by Gisele S. Craveiro and her colleagues at University of São Paulo. The comprehensive paper reviews data from 54 budgetary websites across different Brazilian executive power levels (national, state and municipal), as well as 34 Brazilian audit court websites. Sam Lee from the World Bank reviewed in a guest post how mobile technologies can help advance financial transparency. The International Budget Partnership published the Open Budget Survey, with detailed data on budget processes across 100 countries. Following the launch we hosted a community call discussing the survey. The newest issue of Public Deliberation is dedicated entirely to participatory budgeting and include several articles worth a read. Open Data Day is coming up tomorrow Ferbruary 23. Join an event near you! On March 6 journalists who enjoy to dig deep into the rules of the #EUbudget are in for a treat, when the European Journalism Center organise a seminar dedicated solely to new rules for spending in EU programmes. On May 2-4 the Data Harvest will bring geeks, journalists and civi hackers together in Brussels to wrangle EU spending data from farm subsidies and the Comission. We’re hosting bi-monthly community calls, and are eager to hear your ideas for topics we should cover. How to get involved? Join the discussion on our mailing list.